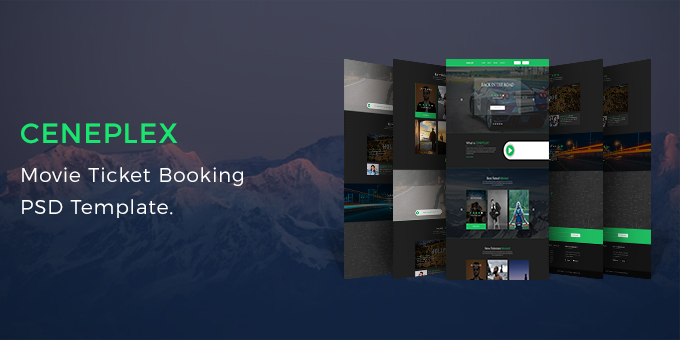 Ceneplex PSD Template is a modern online movie ticket booking PSD template. The PSD is fully layerd & easy to edit & customize. Free fonts & icons used. If you need any help or any kind of special customization please feel free to contact me via my CodeGrape profile. We are always here to give you our best & high quality services.